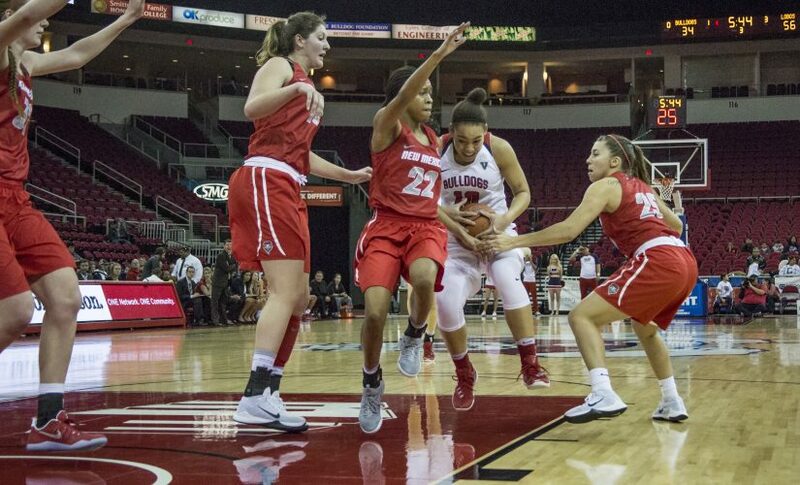 The Fresno State women’s basketball team was defeated by the New Mexico Lobos 80-54 at the Save Mart Center on Thursday, Dec. 29 in a game that saw the Lobos dominate from tipoff to the final seconds. The Mountain West opener for the ’Dogs started with New Mexico getting off to a 10-3 lead. 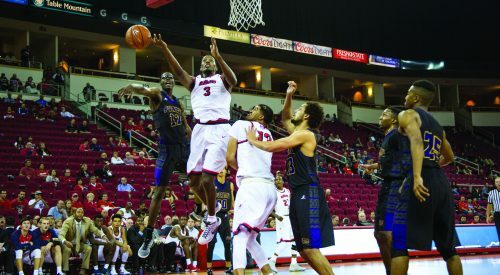 The Lobos’ fast-paced, physical style of play proved too much for the Bulldogs. The Lobos outscored the ’Dogs 46-22 in the paint and outrebounded Fresno State 49-29. At the half, junior center Bego Faz Davalos was held to 3 points and the Bulldogs found themselves down 47-31. New Mexico’s Cherise Brown led the Lobos with 20 points, nine rebounds and six assists. Davalos failed to reach double figures scoring for the first time this season finishing the game with eight points. 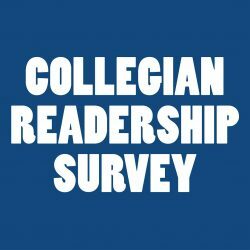 Senior forward Emilie Volk scored a team-high 10 points for the Bulldogs and said there is much to learn despite the game not being the ideal way to start conference play. 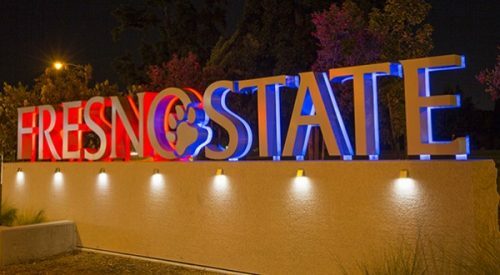 The Bulldogs (7-5, 1-0 Mountain West) will look to bounce back from Thursday evening’s performance as they travel to Nevada to take on the Wolfpack (6-6, 0-1 MW) on Saturday, Dec. 31 at 2 p.m.